The main goal of cosmetic dentistry is to provide patients with the most aesthetically-pleasing smile possible. A perfect smile isn’t simply a matter of taste. There are certain keys that lead to a set of teeth that would almost universally be considered beautiful. In his talk from AACD 2013 Seattle, Dr. Mike Koczarski discusses the I.M.A.G.E approach for designing a perfect smile. Below are each of the steps involved. The length and size of the central incisors are key to a perfect smile. Since they’re the most prominent teeth when a person speaks or smiles, they are always a priority for cosmetic dentists when designing the perfect smile. The position of the incisal edge is dependent on a number of factors, including the shape of the patient’s mouth and face. Another key to a perfect smile is to ensure that the front teeth line up with the facial midline. Facial proportions are extremely important when determining how to design a smile, which is why cosmetic dentists are encouraged to see the teeth as part of the overall appearance of the face, rather than a separate entity. As teeth recede into the mouth, they need to show a slight inclination in order to look aesthetically pleasing. The front teeth tend to be close to vertical, with more of an inclination becoming apparent as the teeth go further back into the mouth. 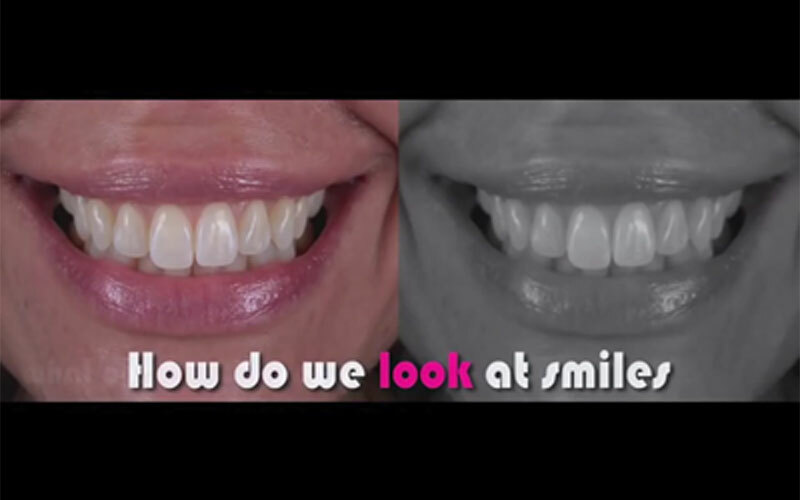 To achieve great results when designing a smile, it’s important to think about the structure of the teeth and gums and not just what’s visible. A good gingival architecture will allow for a natural emergence and therefore a more pleasing appearance to the teeth. Embrasures are the small gaps between the bottom of the teeth. Although they might seem unimportant they actually play a very big role in the appearance of the teeth and therefore are a key part of designing the perfect smile. If you’re unhappy with appearance of your teeth then there are a number of cosmetic procedures that can be used to correct them, including dentures, bridges and veneers. If you’d like to schedule a consultation to determine the best course of treatment for you then get in touch and we’ll be happy to help.